Today’s card has been made with lots of love. It’s a very special card for a very special person…my Mum. Given everything that my mum does not just for me, but also for family, I really wanted to sit down & create something beautiful just for her, something that reflects & shows just how much we love her & care about her. I’ve gotta say that I’m pretty pleased with how it turned out & I hope my mum loves it too. For those of you who are into colouring, this card is a great project for you to try. I started creating my coloured panel by using a long, wide off cut of Shimmery White cardstock that was in my stash. I grabbed my Crumb Cake ink pad & the Magnolia image from the Remarkable You stamp set (pretty perfect given that I think my mum is a remarkable lady). I inked the stamp up using the water based Crumb Cake ink & stamped the image along the length of the panel to create a pattern that I liked. It looked similar to the envelope pictured below. Top Tip 1: To get a natural looking, no lines effect like I have, use a lighter coloured ink to stamp your image. 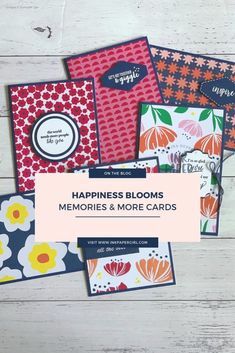 You can use any of the Stampin’ Up! classic ink pad colours as they are a water based ink & won’t blend or run with the alcohol based ink that is in the Stampin’ Blends markers. I then took an assortment of my Stampin’ Blends (these are a new alcohol based marker designed for colouring & blending) & started laying down the lighter shade of each colour in a small section before blending the darker shade over the top. In some parts you can see that I’ve blended the Pink Pirouette blends into the Rich Razzleberry blends & created a colour that’s very similar to the Sweet Sugarplum cardstock. Top Tip 2: If you are after a nice crisp colour & outline don’t use the Stampin’ Up! 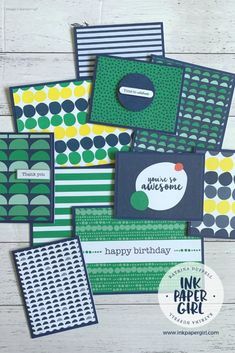 Basic Black or Basic Gray Archival Inks with your Stampin’ Blends. The Archival Ink pads are alcohol based ink, just like the Stampin’ Blends & will blend/run when they touch each other. 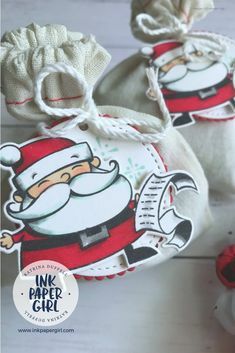 I would also avoid using the Whisper White Kraft Ink with your Stampin’ Blends too. Once I was happy with most of my flower petals, I moved onto colouring in the stems & any leaves I had stamped. The final part of the colouring process was filling in the background using the Pool Party Stampin’ Blends in both the light & dark shades to create a bit more depth & shadow. I was able to correct any outside of the lines colouring mishaps by using the Stampin’ Blends colour lifter (this acts a bit like an eraser). I was also able to use the colour lifter to add in extra highlights wherever I felt they were needed. Using another piece of Shimmery White cardstock I cut out a 7 & a 0 to make the number 70. I wanted to used this as a peekaboo window so that my mum could still the colouring, while having her very special birthday acknowledged. Fully coloured panel, with Large Number Frame cut out. As the overall length of the coloured panel was longer then the width of my card, my lovely husband suggested that I wrap it around the back of the card, instead of cutting it off & wasting it…as if I’d waste it, I would’ve found another project to use it on at some point. I did however take his advice & I wrapped the panel around the back. I’d show you just how lovely it looked but I forgot to take a pic…doh! Completed card & envelope ready for my mum’s 70th birthday. Love you Mum! To add some texture & a subtle background pattern I used the Layered Leaves Dynamic Textured Impressions Embossing Folder…this is an extra deep embossing folder that gives 3D like results ….I’m in LOVE with it. For an extra pop of colour I cut out a frame using the Layered Squares Framelits Dies from some Sweet Sugarplum cardstock & used it to surround the number 70 peekaboo window. I think it really helps to make the card sing & brings out the colours in the flowers even more. Products Used: …. a little heads up, Sweet Sugarplum is an “In Colour” that was released back in June 2016 which means we will only have it until late May, early June 2018…here in Australia people go nuts when the retiring list is announced in early May, & stock up on cardstock, ink pads & ink refills. So if you love this colour & don’t want to miss out, make sure you order the cardstock, ink pad & refill before supplies sell out. Not sure how I have missed your blog in the past! Lovely artwork! I adore this card with matching envelope. Would you consider doing the coloring of this card on YouTube? This looks like patterned paper, NOT like you committed it…..I want to learn how to do that, watching you do it would be a huge help! This is adorable!!!! I thought it was DSP!! !